Looking For More Pizza Kit Fundraiser Information? 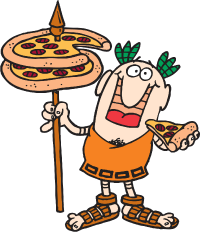 For information on the Little Caesars® Pizza Kit Fundraising Program, review, download and print our Information Packet today, or complete a request for information form and we'll mail a packet right away. Every year, we help thousands of schools, sports teams, churches, day cares and other non-profit groups exceed their fundraising goals. We will make sure your fundraiser with us is both easy and fun! Our Pizza Kits provide the quality and value that you've come to expect with Little Caesars®. We offer a variety of delicious products, including Pizza Kits, Bread Kits, and Cookie Dough. With so many choices, there's something for everyone to enjoy! We know that profit is critical to achieving your fundraising goals. Using Little Caesars®, your fundraiser will receive instant awareness and be on the fast track to a successful fundraiser. Your fundraising group is guaranteed $6.00 per Kit sold! Once you Register Your Fundraiser, we'll work with you to schedule a convenient delivery day and time, recommending active selling for 2-3 weeks. Your group will sell using our brochures or convenient online ordering. At the end of your fundraiser, your final order may be placed online, over the phone or via fax. Delivery will take 1-2 hours, depending on the size of your order, and payment is due in the form of a cashier's cheque or money order. The best part? Your group will earn profit immediately - no waiting on reimbursement* from us!